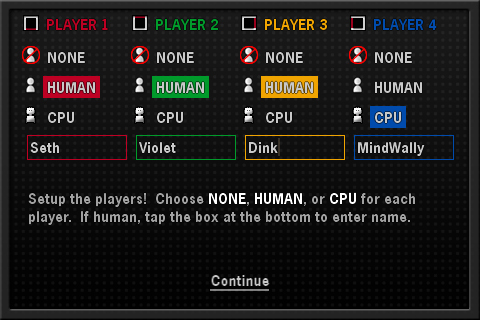 Never take turns again! 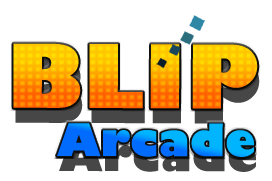 Blip Arcade allows up to three people* to compete simultaneously in a trio of intense arcade games designed specifically for multiplayer action – ON THE SAME DEVICE! 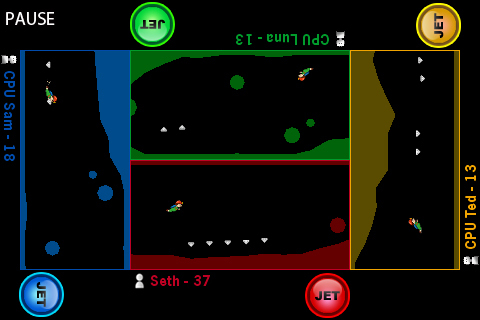 Want to review this game for your website or blog? Let Seth know and he'll give you a copy. 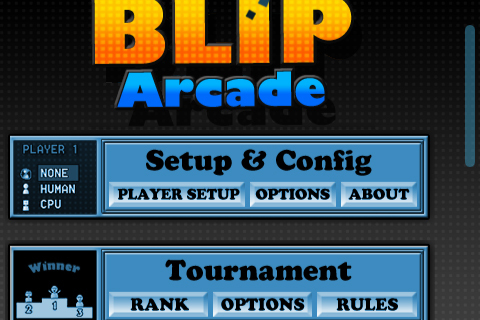 Feel free to use any movies/images from this page for your review/article about Blip Arcade. 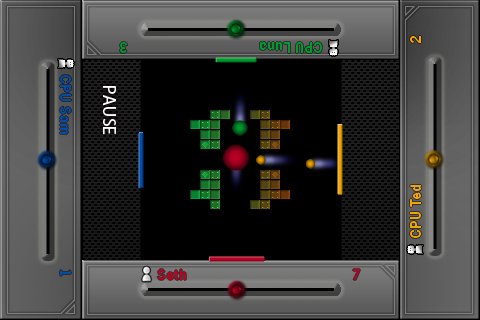 Features chiptunes by Firebrandboy, Play it Loud! (Alex Dello Iacono), Dan McLay, and Sycamore Drive (Garry Lee). 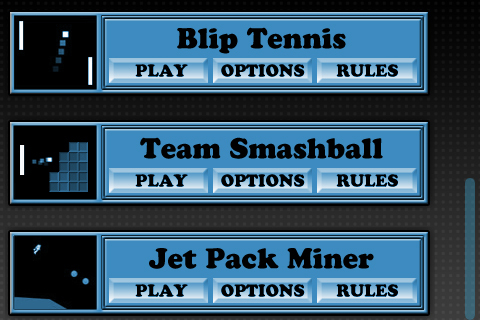 Smashball – Breakout style game that lets you work as a team to collect power-ups and destroy blocks in 1000 levels - or backstab your friends for an edge in the rankings. 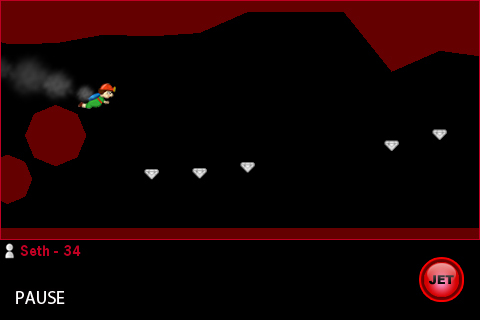 Jetpack Miner – Navigate 1000 treacherous caverns to collect gems and cross the finish line first in this high speed one-button game.